Longtime LRB band member, multi-award winning banjo picker and Virginia Country Music Hall of Famer, Sammy Shelor has put together a wealth of talent that includes: Brandon Rickman (lead vocals and rhythm guitar); Mike Hartgrove (fiddle); Barry Reed (bass and harmony vocals); and Randy Jones (mandolin and lead & harmony vocals) all performing the distinctive LRB sound fans love. Lonesome River Band has four albums on the Rural Rhythm Records label including: STILL LEARNING (June 2011) that included two chart singles, ?Record Time Machine? and ?Jack Up the Jail? ; NO TURNING BACK (the first CD on the Rural Rhythm label and their 12th career album) that included the hit single, ?Them Blues? ; and two live albums, THE ALL-STAR JAM LIVE AT GRAVES MOUNTAIN and the 2011 album, LIVE AT BEAN BLOSSOM, A BILL MONROE CELEBRATION that was produced by Sammy Shelor. Lonesome River Band's long career is obviously filled with a multitude of Awards and Recognitions including the International Bluegrass Music Association (IBMA) honoring the group with numerous awards for Album of the Year and topping it off with an amazing four-time award wins for Shelor as IBMA Banjo Performer of the Year. The group has also received recognition by SPBGMA for numerous Bluegrass Band of Year wins, Vocal Group of the Year, Song of the Year and Shelor as Banjo Player of the Year. 2011 was a tremendous year for the band, with Sammy Shelor receiving the 2nd Annual Steve Martin Prize for Excellence in Banjo and Lonesome River Band receiving five 2011 IBMA nominations including Album of the Year for their participation on The All-Star Jam: Live At Graves Mountain on the Rural Rhythm label (released in 2010). They received two nods for Instrumental Recorded performance of the Year for ?Pretty Little Girl,? on the album, Still Learning (Rural Rhythm), and also for band members Sammy Shelor, Brandon Rickman and Mike Hartgrove's work on ?Ground Speed,? by The Rural Rhythm All-Stars (Rural Rhythm). The band also received a Recorded Event of the Year nomination for the song, ?Graves Mountain Memories,? recorded by the Rural Rhythm All-Stars (including Sammy Shelor and Mike Hartgrove) on The All-Star Jam: Live at Graves Mountain album; and band leader Sammy Shelor was nominated for Banjo Player of the Year, an award he received four consecutive years from 1995-1998,? International Bluegrass Association. In 2010, Shelor was again nominated the IBMA Banjo Performer of the Year award. 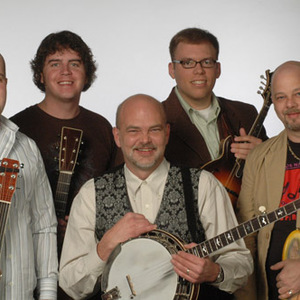 In 2009, LRB received nominations for the 2009 Instrumental Performance of the Year (Struttin to Ferrum); nomination for Gospel Performance of the Year (Darkness Wept); and Sammy Shelor's nomination for Banjo Performer of the Year. LRB opened the 2009 IBMA Awards Show at the Ryman Auditorium with a tremendous and extremely well received performance. In 2008, they were chosen as an IBMA Showcase Artist and the band regularly performs at the popular IBMA Fan Fest at the yearly convention.